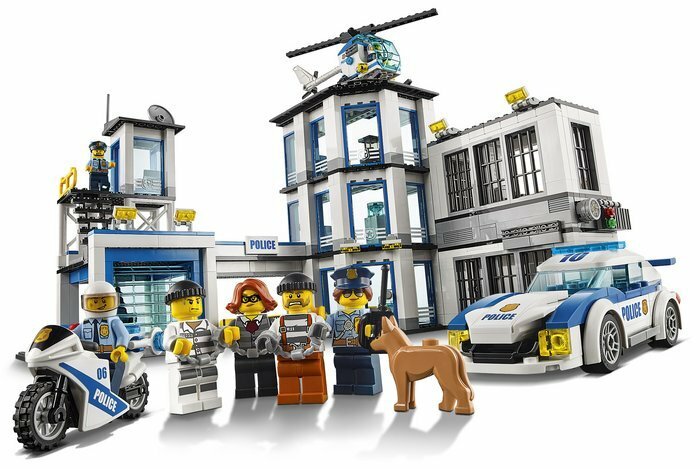 Throw the crooks back in jail after they break out! 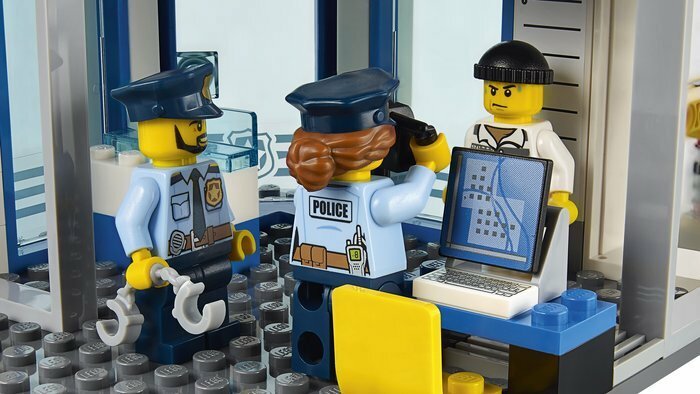 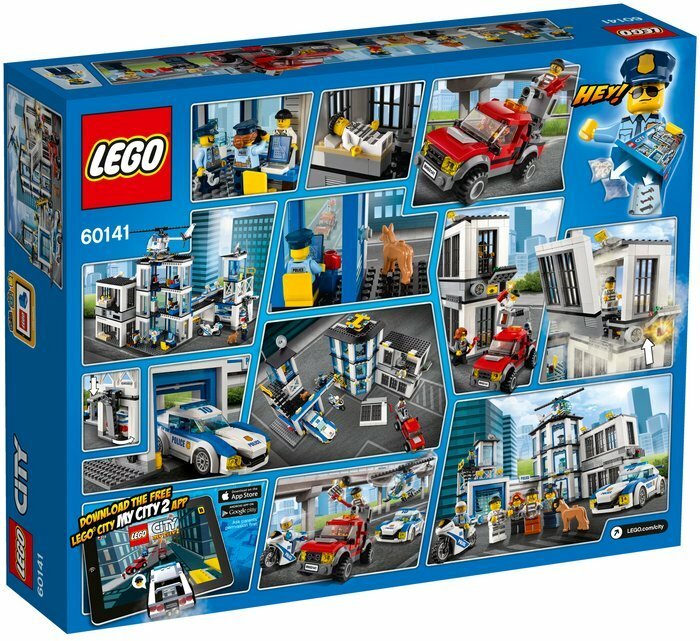 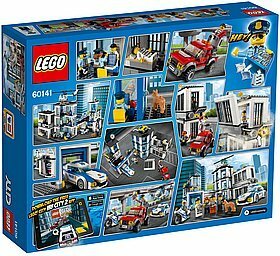 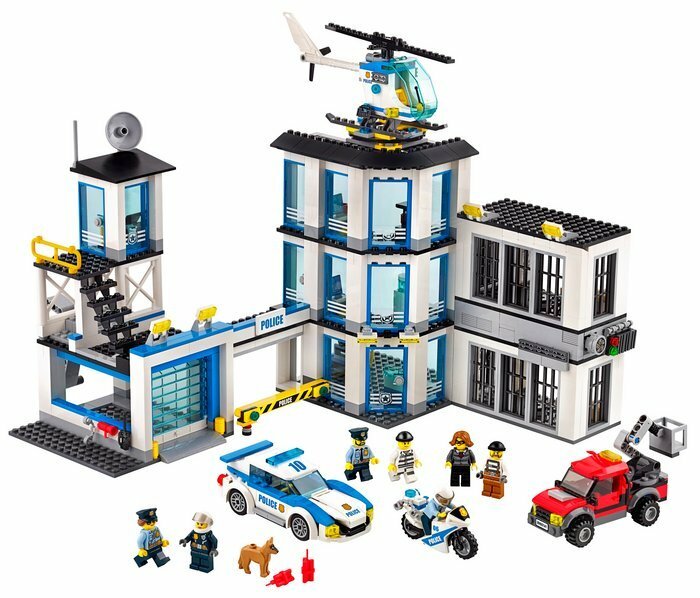 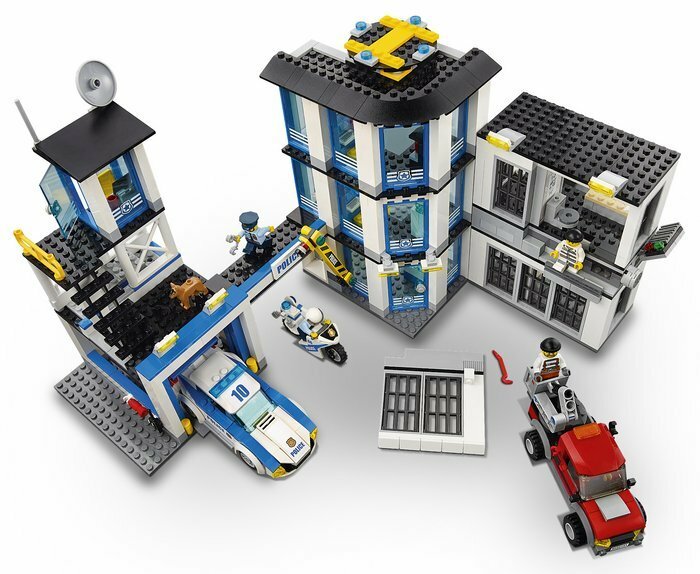 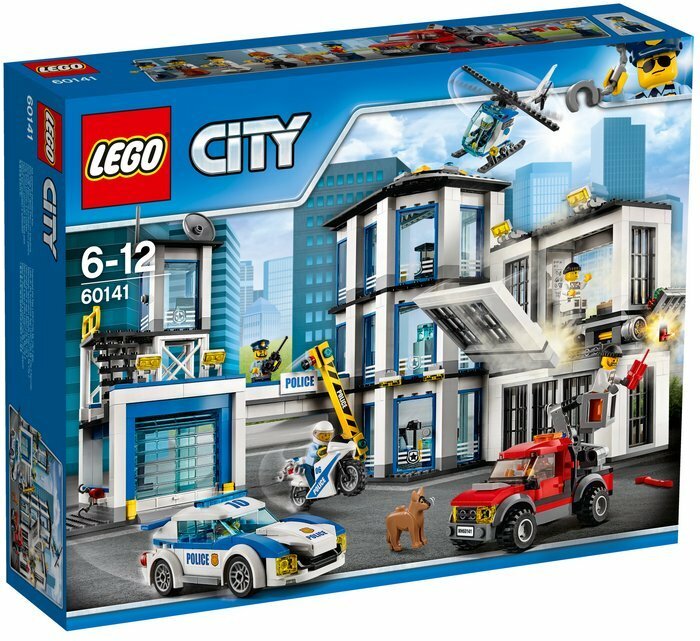 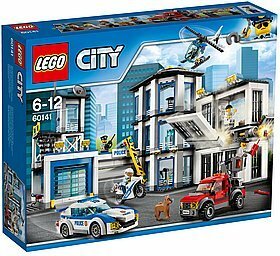 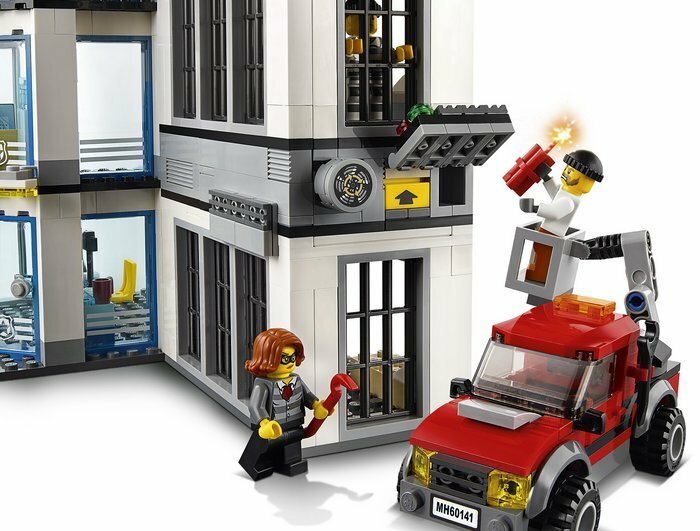 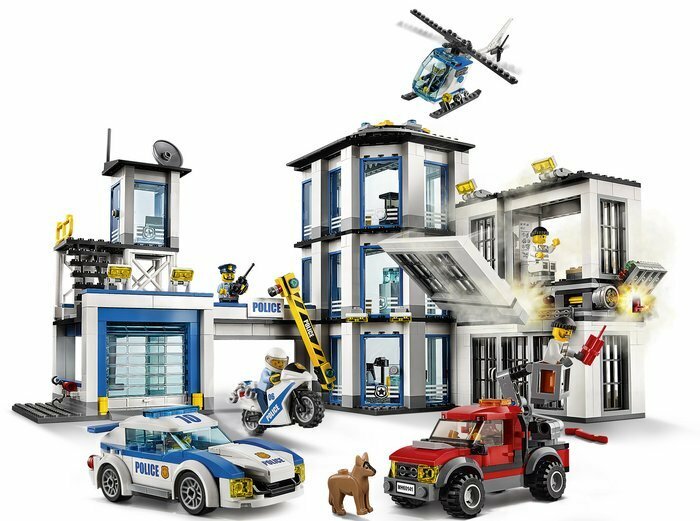 Be part of the action with the LEGO® City police as they try to keep the crooks in jail, featuring a three-level Police Station loaded with accessory elements, a jail cell with exploding wall function, watchtower, garage and offices, helicopter, police pursuit car and police motorbike, plus the crooks’ truck with rotating, extendable cherry picker. 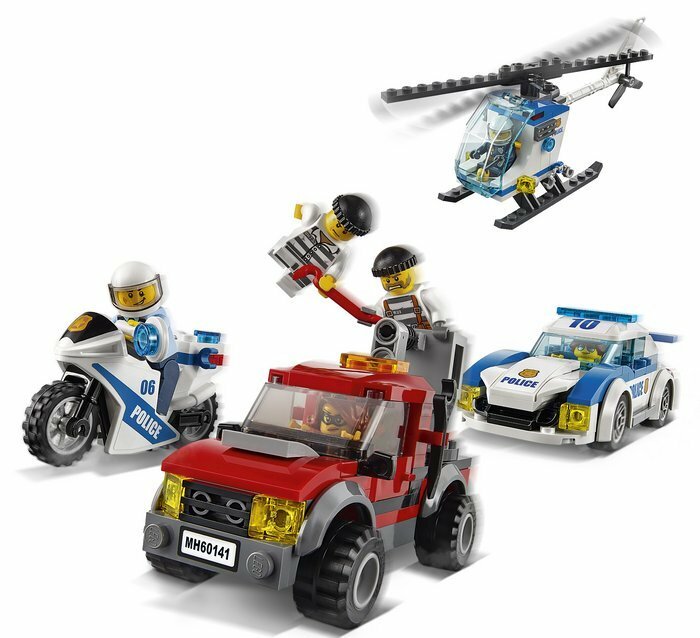 Accessory elements include three sets of handcuffs, two walkie-talkies, megaphone, four mugs, camera, lollypop stop sign, crowbar, wrench and two dynamite sticks. 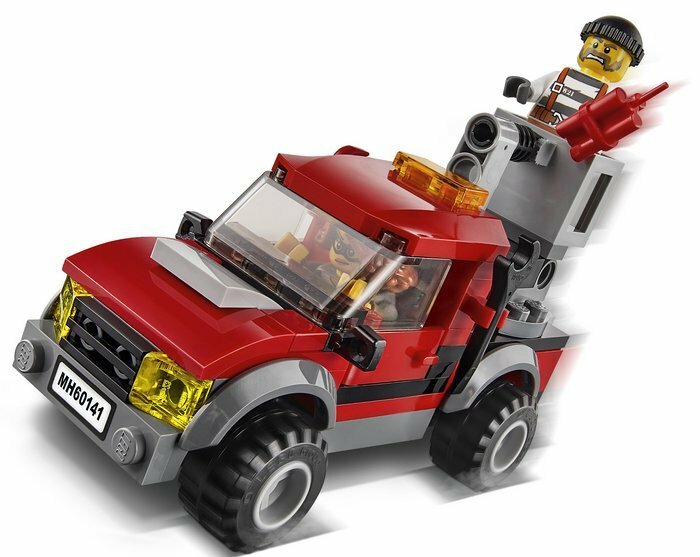 Crooks' truck measures over 2” (6cm) high, 4” (12cm) long and 1” (5cm) wide.